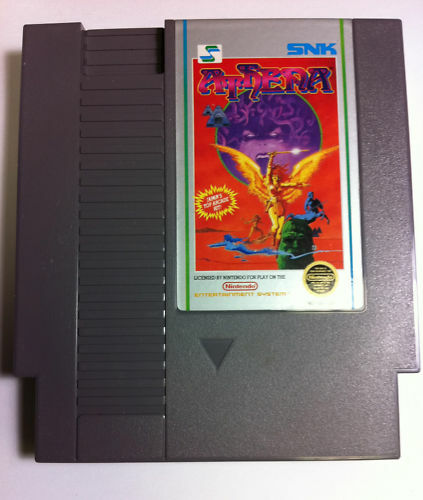 Athena for the Nintendo NES. Athena for the Nintendo NES was a port of developer SNK’s arcade game Athena. The arcade game was only released in Japan. It was know for being a decent fun game. The NES port of the arcade is horrible. The gameplay and controls are the worst problem about this game. You start out with this crappy baseball type weapon that as you kill enemies can be upgraded to whatever the enemy happens to drop. One of the best weapons is the sword but the problem is once you get one you are likely to die immediately. The game spawn enemies endlessly and in really bad positions like right next to your character sometimes. It’s really cheap and annoying. The other problem is that when you take damage you don’t turn invincible for a second or two so you can get wiped out if you get stuck in between enemies. The controls are stiff and just a pain to use. 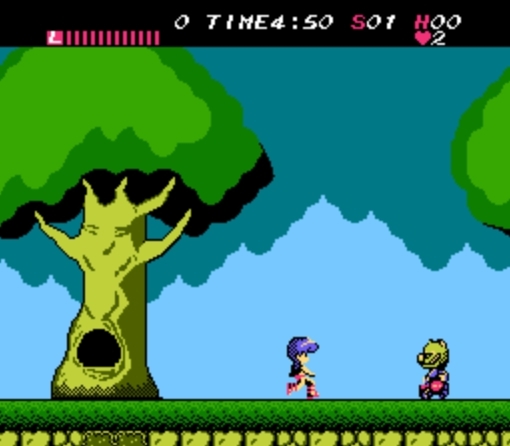 All in all, if you want to play a crappy Nintendo NES game try Athena!